Kolkata/ New Delhi/ Amritsar/ Varanasi, Jan 1 (ANI): People across India took part in festivities and prayers on Thursday to herald an auspicious start to the year 2009. While it was a quiet New Year in Mumbai that witnessed attacks, festivities were muted in other parts of the country as well. But people came out in large numbers to pray for a peaceful and prosperous New Year. Residents in Kolkata offered prayers to the rising Sun on the banks of river Hoogli. People prayed that the financial trouble that loomed over second half of 2008 should not be there in 2009. “I hope that the New Year is prosperous for us. The losses that we have incurred this year, should not be there this year,” said Parikshit, a resident of Kolkata. Devotees in New Delhi thronged a temple dedicated to saint Sai Baba in large numbers. Devotees said that New Year 2009 is auspicious as it begins on a Thursday, a day dedicated to him. “I have come here to offer prayers to Sai Baba. Thursday is his day and that is the reason why there are so many devotees,” said Vikas, a devotee. Braving the winter chill, devotees in Amritsar took a dip in the holy pond outside the famous Golden Temple. Varanasi hosted grand prayers in the morning on the banks of River Ganges. Thousands of Indian devotees as well as foreign tourists took part in the prayers. “To see the people celebrate on the banks of Ganges, to see how they interact with the river, to see them binding and bringing in the New Year. It is very different from Australia,” said Mary, a tourist. He started to plan a return trip and wanted to take at least one other person with him. He had previously given several book in Russian to his friend “Mikhail”, but Mikhail would not read them. Although the two had been friends since they were students and Mikhail knew his friend was credible, still he had no interest in Sai Baba. Alexander could not understand this as Mikhail was a well educated man, a professor and well known scientist with many achievements to his name. They arrived at the Ashram and were given a room to share with other international visitors. 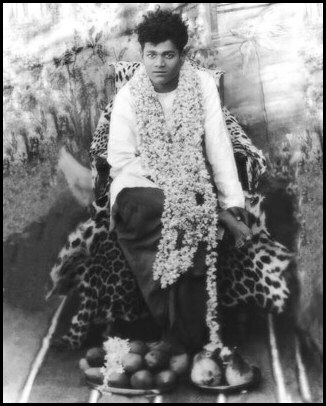 On the third day Alexander gave his friend three issues of the quarterly magazine, “Divine Love” and Mikhail started reading only those articles where Swami himself speaks. He was transfixed by what he read and continued reading into the night. 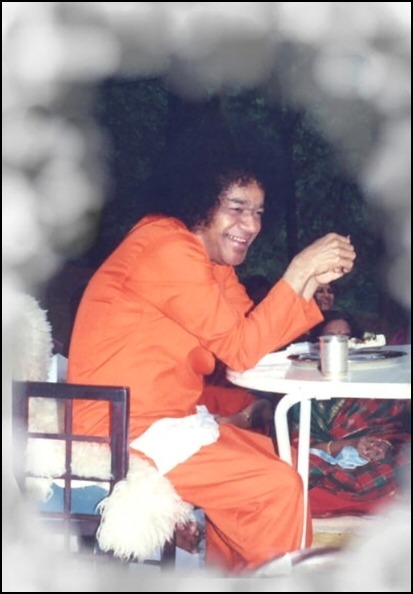 After Darshan, Mikhail excitedly told his friend Alexander that last night he had had a dream in which Swami came to him and had a long conversation with him. Mikhail was confused because the dream had seemed completely real to him and he could see and remember everything just as when he was awake so he didn’t know whether to take it as a dream or a real event that actually happened. Then Mikhail narrated to his friend from memory, the following conversation from his “dream”. In the dream he found himself in the very same lecture hall in Russia where he normally delivers lectures to his students. But instead, Swami was at the rostrum where Mikhail usually lectures and Mikhail was sitting at a table like one of the students.